Heavy storms, floods and landslides across nearly all provinces in Myanmar have dealt a major blow to the country's agriculture and are expected to severely limit the availability of food if aid is not provided to farmers swiftly, FAO warned today. 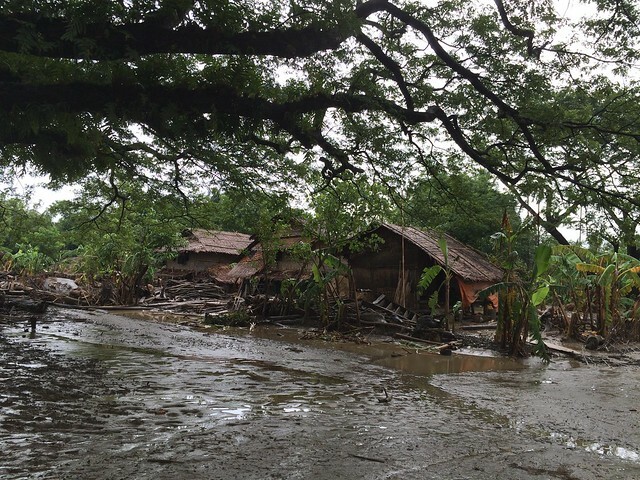 Urgent support is needed to help farmers recover from a month of extreme monsoon weather, worsened by the arrival of Cyclone Komen at the end of July, that has affected more than 1.6 million people and inundated more than 1.4 million acres of farmland. The deluge also destroyed some 972,000 acres of standing crops -- most of all paddy rice -- 36,000 acres of fish and shrimp ponds, and an estimated 20,000 head of cattle. "Now that the water is receding, we need to act swiftly to help rural communities get back on their feet, providing them the seeds, equipment and other support they need to grow food, raise animals, restore their livelihoods and build their resilience to future shocks," said Bui Thi Lan, FAO Representative in Myanmar. "Having seen the scale of it first hand, it's stunning that this emergency situation is widely being underestimated by global media and international donors," she added. Twelve out of the country's 14 provinces are affected, with northern and western regions suffering the hardest blows. Some 385,000 households have been displaced by the floods and landslides that destroyed thousands of homes, and irrigation canals. Humanitarian agencies, meanwhile, are supporting the Government of Myanmar with critical supplies of food, shelter, sanitation and medical aid. But many UN agencies are reporting funding shortfalls that prevent them from responding to the best of their abilities. Severe damage to roads, bridges and railways is making these ongoing relief and recovery efforts extra challenging. The partners of the Food Security Sector (FSS) led by FAO and WFP are currently conducting a joint assessment of the impact of the cyclone and floods on agricultural livelihoods and food security: JICA, UN Women, LIFT, NRC, CESVI, CARE Australia and Oxfam, in consultation with the concerned Ministries and the Emergency Operations Centre. The assessment is focusing on the six most affected states and regions to get a more detailed picture of the interventions needed to help rural communities restore their livelihoods and get the farming sector back on its feet. The results of the initial assessment will be ready and shared by the second week of September. Based on previous experience in similar emergencies, FAO is preparing the distribution of rice, pulses and winter crops that can be planted as soon as the dry season starts in October. Other likely interventions include vaccination drives for cattle and distribution of animal feed to help farmers keep their herds alive and healthy. Farmers will also need assistance in repairing drainage infrastructure and animal shelters, while small-scale aquaculture in heavy-hit areas will likely need to be built up from scratch by providing farmers fingerlings and other inputs. Results of the in-depth assessment will also help define the nature of longer-tem resilience building activities. Out of the six provinces hit hardest by the monsoonal floods, four have been the stage of recurrent intercommunal tensions since June 2012 that have displaced more than 660 000 people, making those regions especially vulnerable to the impacts of the floods.